In 1944, Niels Otto Møller began his cabinetry company, where old craft traditions are still used today. Danish cord seats are known for their durability and easily withstand decades of frequent use. For over fifty years the craftsmen at Møller have skilfully woven each paper cord seat and bench with a single piece of cord around carefully selected wooden frames. The #63 bench is perfect for the end of the bed, in the hallway or as a centre piece for the lounge room. 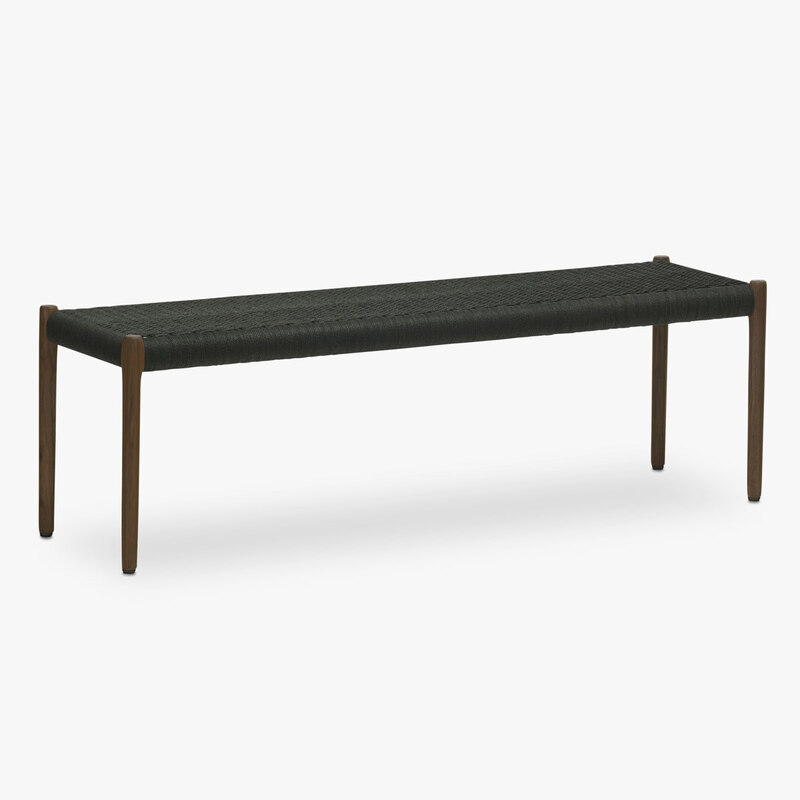 The bench is finished off with a traditional Danish paper cord seat, and stands elegantly on finely crafted legs. It is perfect for sitting, books, clothes and other objects.